One of the critical aspects for any business is managing its customer expectation. Customer experience matters and, if it matters to our business, then we need to do anything to ensure that our customers get the best experience possible. 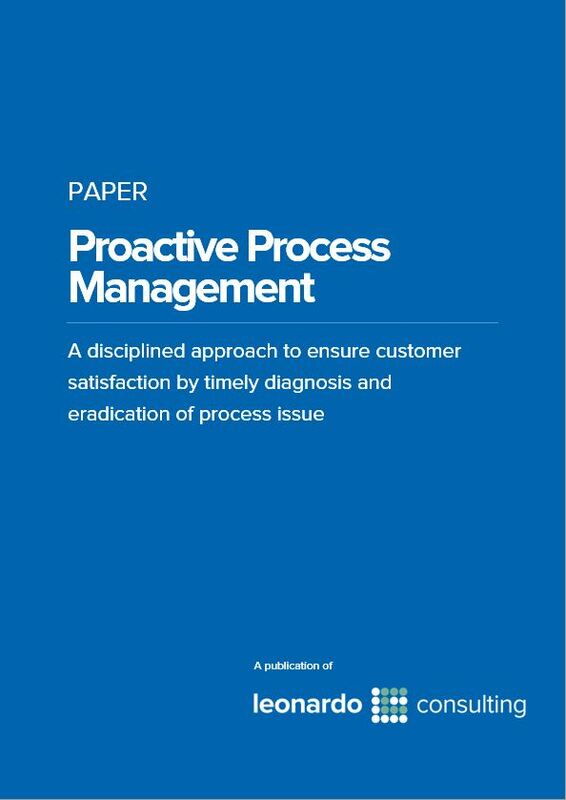 The entire concept of proactive process management is about making an attempt to continuously monitor and identify process issues and then taking proactive actions to make sure that the right moves are taken to mitigate the process risks. The whole idea is to proactively think about possible areas of process improvement and to take necessary action well within time. We may never know exactly what is going to happen in future, but we can definitely be as prepared as possible.